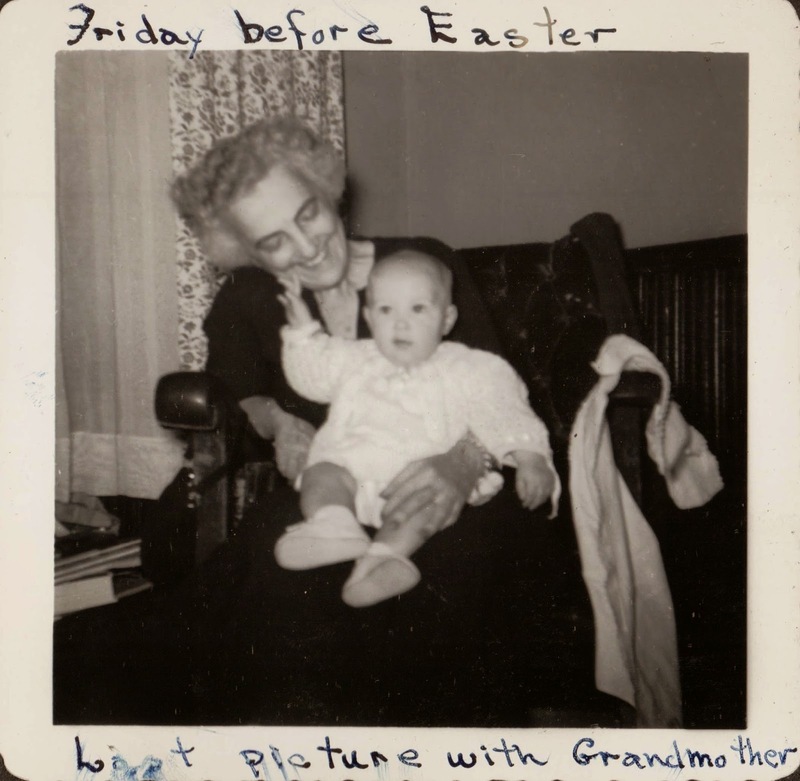 The first loss that I experienced when I was young was the death of my maternal grandmother Leona Roberts (married name Redles). I was only a few months old, so I had no idea what was going on. I was born in October 1954, and she died the following year on April 19, 1955. "Friday before Easter. Last picture with Grandmother"
The loss that I do remember was my Uncle Big Bubba, William Leland Roberts. He was my grandmother Leona's oldest brother and one of my favorite people. I was nine years old when he died on March 15, 1964, in Valdosta, Georgia. He lived with his sister Kathleen Roberts and her husband Abial Winn, but ate his meals with his sisters Margaret, Dinah (Mary Remer), and Leona and their families next door in the dining room at the Roberts House, what we refer to as the Big House. His invalid sister Midge (Edwina) took her meals at the table and chair in the living room where she always sat. The chair had been raised to accommodate her infliction. Uncle Big Bubba (William Leland Roberts) is on the right, Nick is in the center, and Tom Preuet on the left. 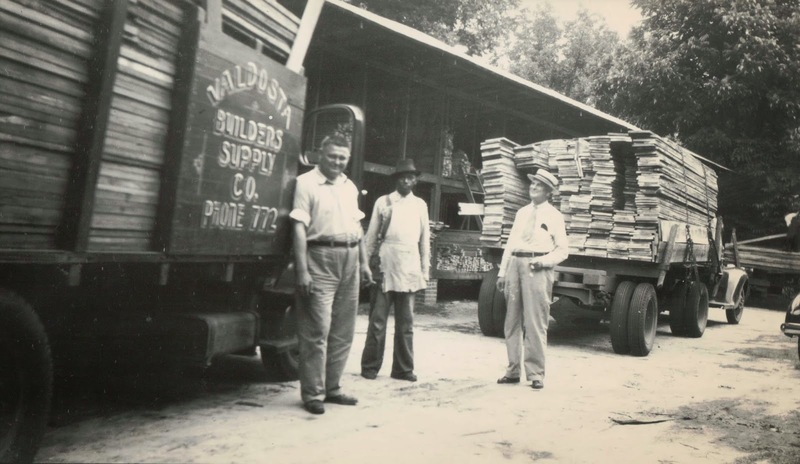 Valdosta Builders Supply was a Roberts family business and was in the field behind the Big House. I'm not sure I knew what the implications of death were back then. I knew that I would never see Uncle Big Bubba again. I don't remember what I felt when I was told he had died, but I'm sure I felt his loss. Someone I had known my whole life was suddenly no longer there. As far as I recall, he was the first person close to me to die. I didn't go to his funeral. My parents probably thought it best to keep us young children at home. Uncle Big Bubba was always kind to us children, and as I wrote in my previous blog post linked above, he would sometimes come outside to sit with us in the swing on the front porch. I enjoyed that.